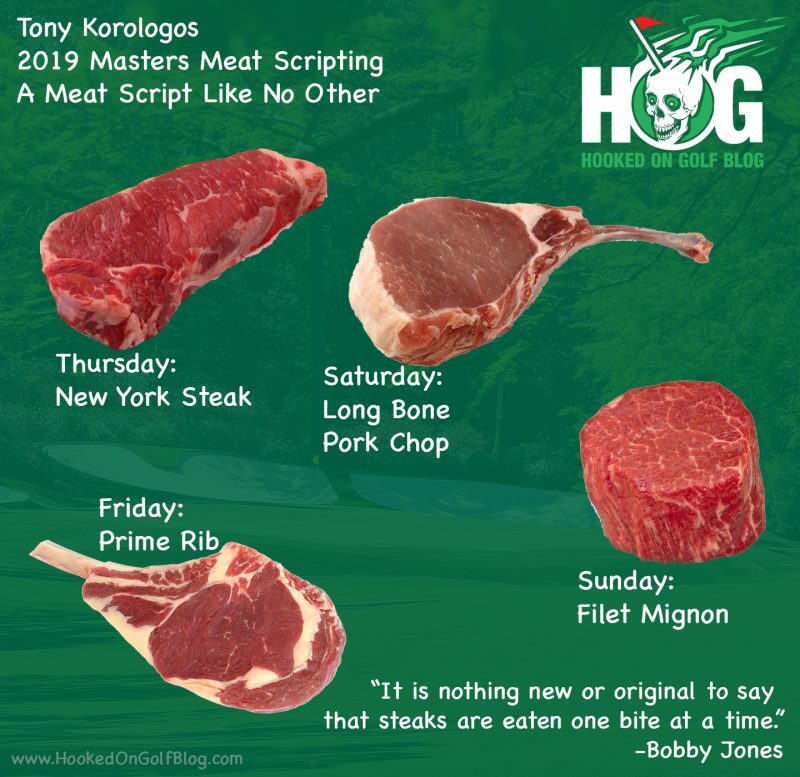 [Salt Lake City, Utah – April 9, 2019] Leading golf blogger Tony Korologos of HookedOnGolfBlog.com has just released his 2019 Masters Tournament scripting. Korologos is famous for producing some of the most prestigious Masters Tournament scripts in the history of the event. 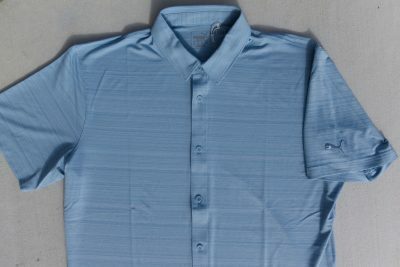 Some scripts from previous years include the original blogger apparel scripting, toothpaste scripting, Sergio Garcia’s baby nappy scripting, cigar scripting, and Dustin Johnson’s sock scripting (commemorating DJ’s fall down the stairs which injured his back and prevented him from competing in the Masters). I play Golf Pride grips. 80% of the PGA TOUR follows my lead, despite not getting paid by Golf Pride. That’s the sign of a really great product. I love the Align technology for my full swing clubs, and for my putter I game the TOUR SNSR. 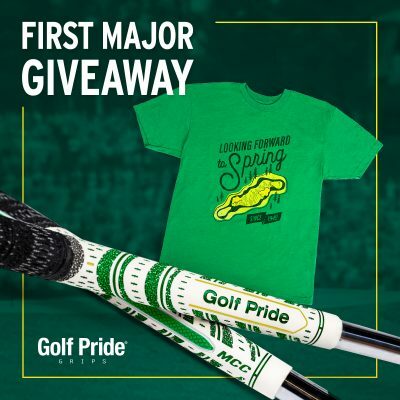 I haven’t been one for doing a lot of contests and giveaways in the past, but I thought I’d change that up a bit and do a giveaway in honor of the 2019 Masters Tournament. I worked out a gift package with Golf Pride featuring 13 Limited Edition “First Major” MCC ALIGN Grips and the t-shirt pictured below. The grips and shirt in this package are not available for sale, anywhere. 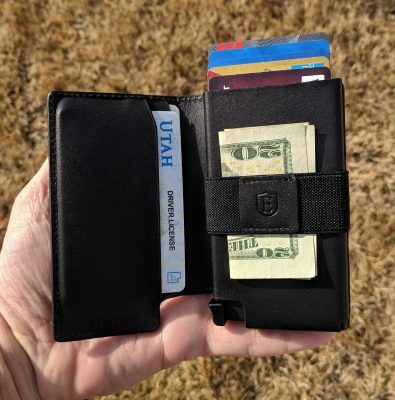 Only a few select Tour players have them, and of course the soon-to-be winner of the 2019 HOG/Golf Pride “First Major” contest. 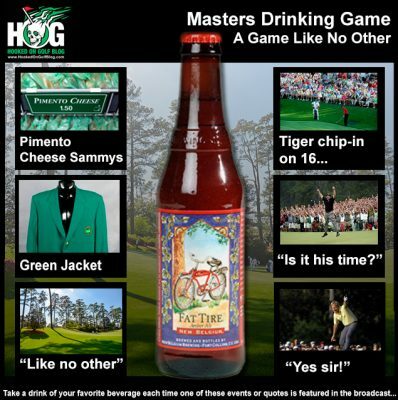 Retweet any HOG “First Major” contest tweet with your pick for the Masters winner. The player must be a Golf Pride user. 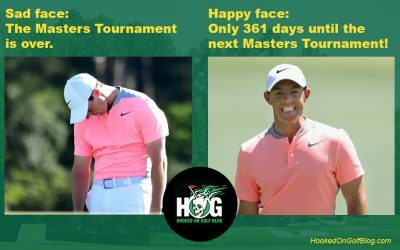 The winner will be announced the day after the Masters Tournament concludes. In the event of a tie, the winner will be chosen at random. Happy tweeting and GOOD LUCK! Live TV coverage of the Par 3 Contest from 3:00 PM to 5:00 PM ET on Wed, April 9, 2014. Live TV coverage of Tournament play from 3:00 PM to 7:30 PM ET on Thurs, April 10 & Fri, April 11, 2014. Live TV coverage of Tournament play from 3:00 PM to 7:00 PM ET on Sat, April 12 and from 2:00 PM to 7:00 PM Sun, April 13, 2014. Live TV coverage of the Masters driving range show, Masters on the Range, starting Mon, April 7 at 12:00 PM and continuing through Tournament week. Today is the par-3 tournament day at the Masters Tournament. This tournament has been going since 1960. The par-3 is a fun tournament where players interact closely with fans. 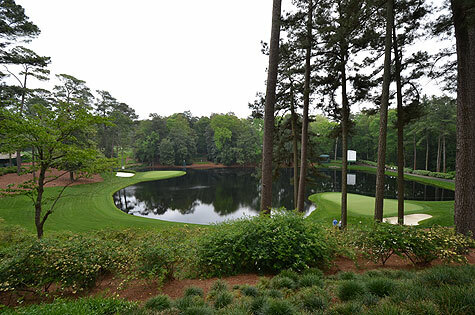 Some players who are not in the Masters Tournament are allowed to play the par-3 tournament. Prior to the par-3 tournament there used to be a driving contest.